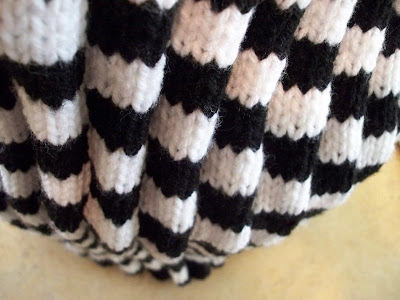 I really like the rippled texture! 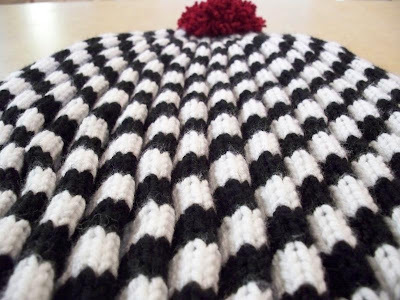 I can't believe it was achieved by simply pulling the yarn tight as you change color...genius! 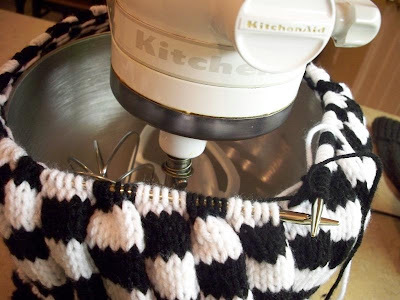 I would never have thought of a knitted stand mixer cover! What a great idea! I just love this. 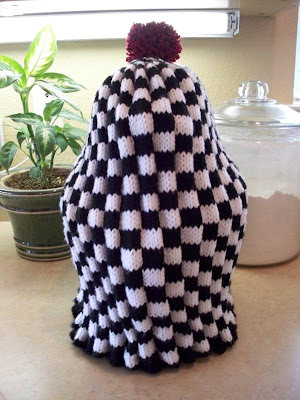 Reminds me of Mackenzie-Childs - my fave shop for interesting pieces. I just LOVE this. Reminds me of my fave houseware Mackenzie-Childs. I can't believe I never saw this earlier! 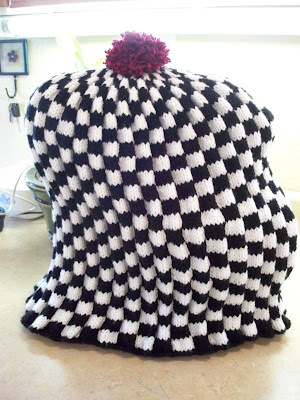 I might have to make one of these for my new beast - it's too big for for the covers I've sewn for the coffee maker and my old mixer.